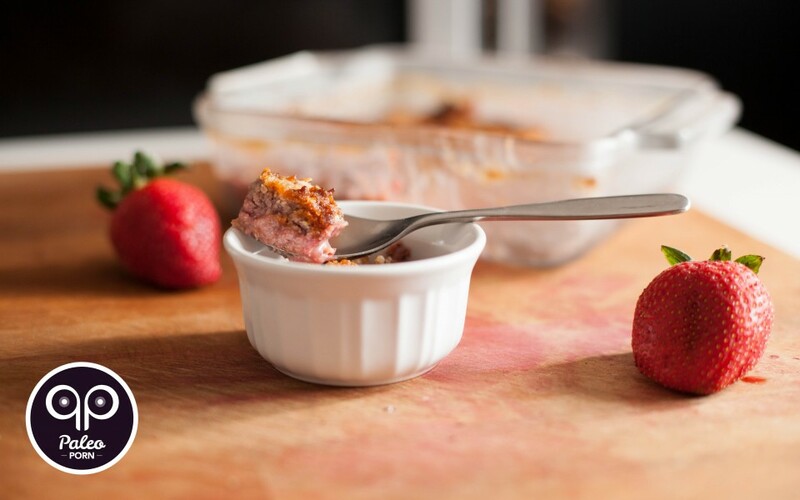 A paleo fruit crumble is a pretty simple dessert to throw together when you’re looking to serve a warm, fruit-based paleo dessert. 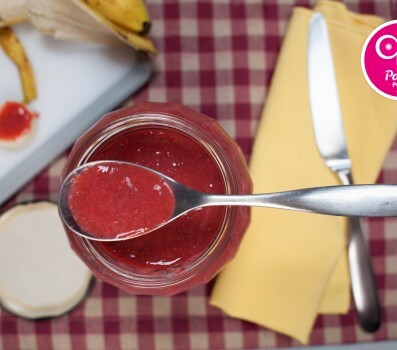 Plus, there are many different fruit combinations that work well together. Berries, for example are always a great option. If you’re unfamiliar with rhubarb, let me introduce you. It is actually a vegetable, as opposed to a fruit. Rhubarb looks a lot like a redish, pinkish celery and it’s crisp like celery too. 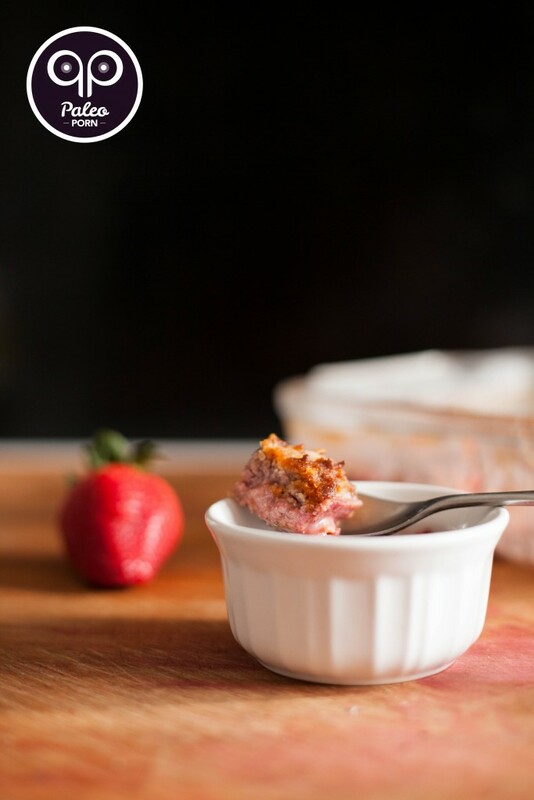 When it’s in season, people tend to pair it with strawberries and prepare them as fillings in pies and other desserts, though you can certainly prepare a savory dish using rhubarb instead. 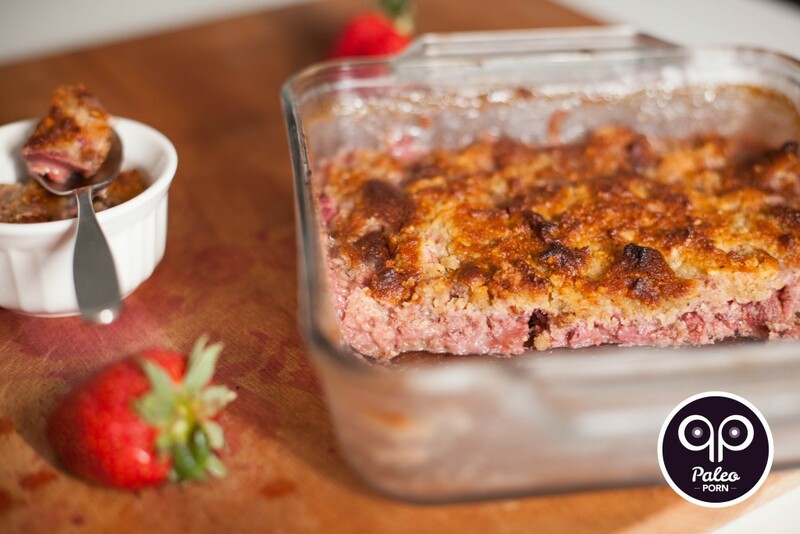 This warm paleo crumble is definitely a great way to enjoy some fresh rhubarb, when you get your hands on some. This is a guest post by Alison Ver Halen. Alison is a novelist and a long time member of the Paleo Chicago Meetup group. 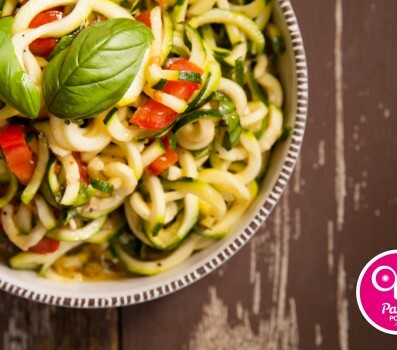 As a life-long foodie, she has found Paleo to be a great way to stay healthy while enjoying delicious food. Strawberry rhubarb pie has always been my dad’s favorite. Luckily, after all these years, he still doesn’t know when strawberries and rhubarb are in season, despite the fact that his birthday falls at the beginning of the season. So I get to surprise him with a pie for his birthday Every. Single. Year. One week I opened up my CSA box and was surprised to find a bunch of rhubarb and not one, but two quarts of strawberries! I wasn’t going to share both quarts with my family (I’m selfish when it comes to berries), but I also didn’t think I could eat both quarts by myself before they went bad. Now one quart of strawberries and one bunch of rhubarb isn’t enough to make a pie, but it is enough to make a crumble. My dad is mostly paleo-ish, and whenever I cook for my parents, I make paleo food. When I decided to make a crumble, I wanted it to be a paleo crumble. A crumble is typically a fruit-based dessert, although you can make a savory version too, that is sometimes called a crisp. The fruit is added first and the crust is added as a topping, which while baking breaks into small fragments. A crumble doesn’t really need flour, which makes it easy to create a Paleo version. Combine some nuts, mix them with butter, add honey as a sweetener (and to hold it all together) and maybe add some seasonings and you’ve got yourself everything you need to make a paleo crumble. My dad likes his desserts nice and tart and I inherited that preference from him (don’t get him started on the time I stole his key lime pie when I was a year-and-a-half old). This version is actually a little too sweet for him. He probably would have preferred if I had used two or two-and-a-half tablespoons of honey. I also used two cups of rhubarb, instead of one, for extra tartness. 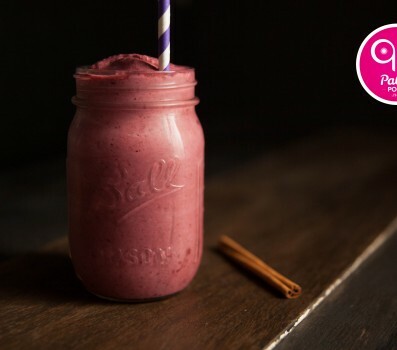 This recipe is a nice combination of sweet and tart that most people can enjoy – whether they’re Paleo or not. 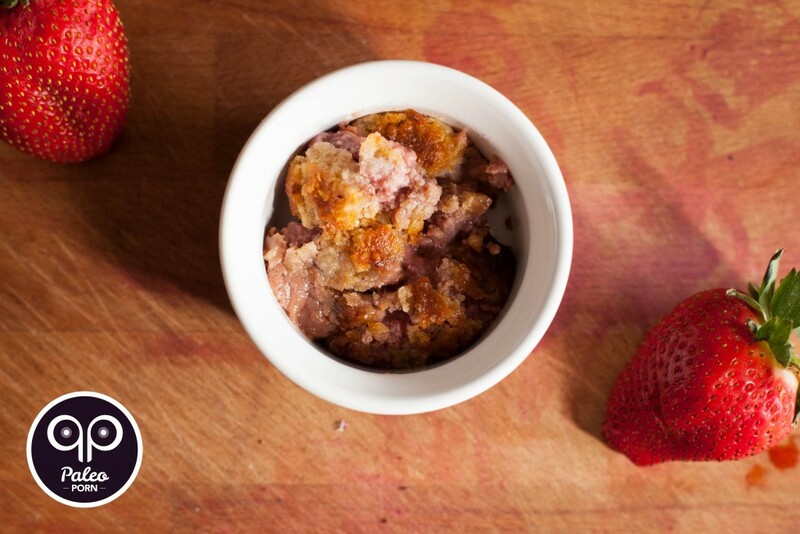 For a crumble that’s more tart, you can add more rhubarb and use a little less than the three tablespoons of honey. If, on the other hand, you want a sweeter treat, feel free to use a little more. We always eat our crumbles with ice cream, but it’s delicious all on it’s own. 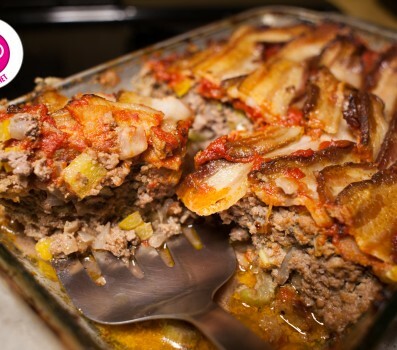 And if you wind up with leftovers, you can even serve it cold for your Paleo breakfast the next day! Add the sliced rhubard, chopped strawberries, raw honey, almond extract, nutmeg, allspice and cloves to a large mixing bowl. Stir combine well then transfer the mixture to an 8x8 square glass baking dish. This is the filling for the crumble, now to make the crumble topping. Add the almond flour, hazelnuts, unsalted butter, honey, sea salt and cinnamon to a food processor. Process until butter is combined into the rest of the ingredients. (This won't take long at all.) Alternatively you can transfer all the ingredients to a medium-sized mixing bowl and cut the butter in with a pastry cutter. 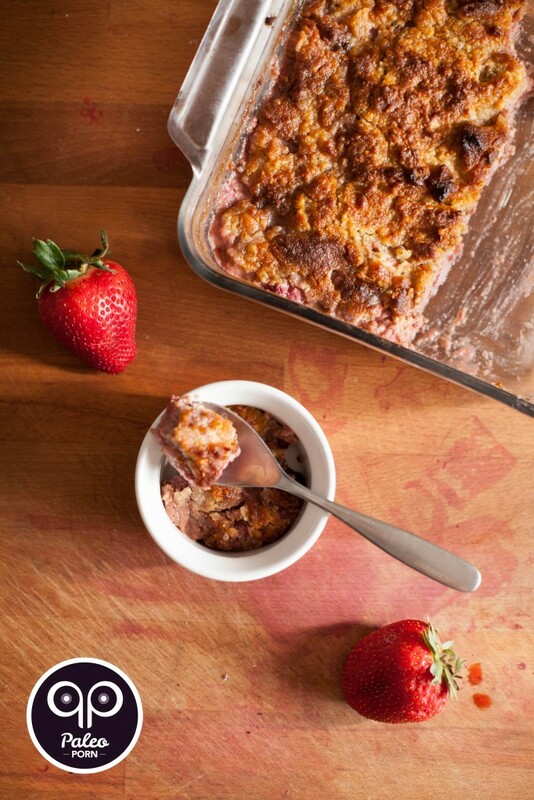 Spread the crumble over the strawberry-rhubarb filling. Be sure to distribute the crumble evenly over the filling as best you can. Transfer the dish to the oven and bake for 30 minutes, uncovered, until the crumble topping starts to turn brown. The consistency will be very soupy when it first comes out of the oven, so let it rest for 10 minutes to allow it to set. Serve in a bowl, optionally topped with a scoop of Paleo ice cream. VLOG 006: Do you have to eat no pasta ever?